What Does Strength Training Have To Do With Confidence? 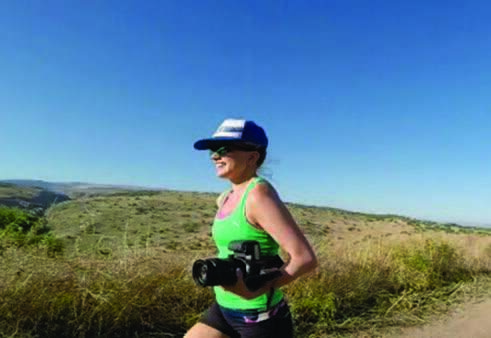 Editor-in-Chief Jessie Sebor explains why focusing on strength makes you a better runner and person. Running has myriad health benefits—but it’s not the best way to build strength. In college, I was in solid running shape. I had just finished a season of cross country and qualified for the Boston Marathon when a friend challenged me to do a real pushup—just one. I assumed plank position, lowered my body to the floor and fell flat on my face. minute of non-running exercise was a minute lost on the trails.…I just found a form of exercise I actually like, and now I’m supposed to do that one less and do one I hate instead?” Couple Danielle’s words with an illogical (and embarrassing) aversion to developing bulky muscles, and you get the reason why I stayed out of the weight room for most of my life. I think this pattern is common in runners—and my irrational fear is common in women in general. Taken together, this creates a recipe for injury in many female runners. If you’ve ever read this (or any) running magazine before, you know that strength training is crucial to stay healthy. When you pile on the miles, your body demands muscular stability that can only be achieved through auxiliary exercises that develop areas running does not. Staying off the sidelines is a good reason to strength train—but it’s not the most important. The best benefit getting stronger yields is confidence in your body’s ability. And it’s important to remember that strength training doesn’t have to mean grunting it out during a set of bench presses. My entry to weight lifting came through a copy of Jillian Michaels’ “30 Day Shred.” I was given a copy and thought I’d try her workouts, most of which comprise circuits packed with body-weight training. I noticed the physical changes first. With this new regimen, groves of muscles developed in places they’d never before appeared. Soon I started noticing other payoffs too: I could grab the end of a couch when a friend asked for help; I could hoist my carry-on into the luggage bin without worrying I’d drop it on a passenger in the row below; I was able to perform not just one, but 10 pushups in a row. Women’s Running focuses on strength-training not only to help you become a better runner (although following this Olympian approved strength workout and trying the our burpee variations will have that effect)—but also to help you become a stronger human. Being able to function in life without asking for help carrying a box or opening a jar fundamentally changes the way you think about yourself. Physical self-reliance is powerful, and it bleeds into other areas of our lives. It might sound silly, but for me, being able to do a pushup helps me channel that power in meetings at work and find my voice in my relationships. Sure, being strong is about building muscles—but it’s about building confidence too.